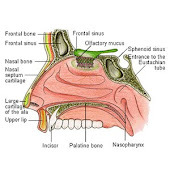 Recently in a PRSjournal a study was conducted and reported by Dr.Richard Clark called Nasal Dorsal Augmentation with Freeze dried allograft bone. Non irradiated freeze dried bone typically comes from tibia and femur shafts (more specifically cortical shafts). Here's some general background information on bone grafts. Allografts are obtained from cadavers or living individuals from the same species. In human medicine they can be obtained from tissue banks (KÜBLER 1997). Alloplasts are synthetic materials consisting of biological inert substances. Xenografts are composed of tissue taken from another species (i.e. from an animal source, usually bovine). In case the organic material is removed from xenogenic bone, it may be considered as an alloplast (GARG 1999). The term 'composite grafts' refers to grafts that are composed of materials from different origins, usually autogenous bone mixed with other materials (HABAL1991). Depending on where the bone graft is needed, a different doctor may be requested to do the surgery. Doctors that do bone graft procedures are commonly orthopedic surgeons, otolaryngology head and neck surgeons, neurosurgeons, craniofacial surgeons, oral and maxillofacial surgeons, and periodontists. Freeze dried bone describes the method used to process the bone, not the source, and there is freeze dried bone available that comes from cadavers. The most commonly used allograft is demineralized and freeze-dried bone. The latter is used for minimising the antigenicity (BLOCK and POSER 1995), resulting in a demineralized bone matrix (DFDBA). Freeze-drying and gamma irradiation are the techniques widely use in tissue banking for preservation and sterilization of tissue grafts respectively. which decreases enzyme degradation and host immune response. with subsequent vacuum packing and storage at room temperature. ➤Osteoinduction is a process that supports the mitogenesis of undifferentiated mesenchymal cells, leading to the formation of osteoprogenitor cells that form new bone. ➤ The human skeleton has the ability to regenerate itself as part of the repair process. ➤ Recombinant bone morphogenetic protein has osteoinductive properties, the effectiveness of which is supported by Level-I evidence from current literature sources. ➤ Osteoconduction is a property of a matrix that supports the attachment of bone-forming cells for subsequent bone formation. ➤ Osteogenic property is a relatively new term that can be defined as the generation of bone from boneforming cells. Does Type of Bone Graft Used in Spinal Fusion Increase Risk of Infection? Dr. Clark has currently published pilot study using freeze dried and frozen bone to augment and straighten the nasal dorsum (bridge). Dr. Clark uses American Bone Bank approved treated bone which has an excellent history of use in orthopedic surgery for over 10 years without transmission of any disease or rejection of implants. (For details of the extensive evaluation of bone donors and cleansing of the bone, please contact Dr. Clark.) The first patient receiving a dorsal implant with a frozen bone was in June, 2004. That patient's bone graft remains in perfect position and has maintained it's size and remains thus far to be a success. This bone graft has revascularized and become live healthy bone. We are following over 10 patients with excellent results, and time will tell as to whether this will be an answer to the quandary of dorsal augmentation, and we remain very hopeful.